Spray foam insulation can help save up to 50% in energy costs, protect a building from moisture intrusion, and provide sound insulation. In addition, it provides two to three times more insulation that traditional fiberglass. 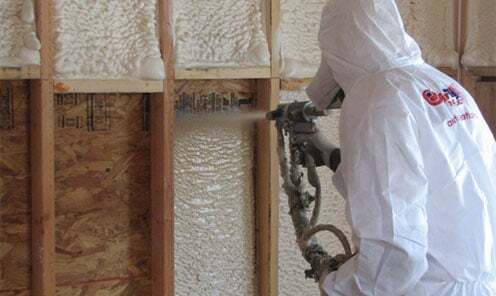 However, according to Environmental Working Group, most common spray polyurethane foam insulation contains methylene diphenyl diisocyanate, or MDI, a synthetic chemical linked to asthma, lung damage and even death. “Because of the chemical’s risks, the federal Occupational Safety and Health Administration has set the maximum legal limit for MDI exposure among workers who handle it and related chemicals at 0.02 parts per million in workplace air,” reports EWG. This is fine for professional installers, as they have the equipment necessary to protect them from MDI. But homeowners and DIY-ers may not even be aware of the danger. 1. Soybean-based spray foam – Not made with any added chemicals, including MDI, this product has the same insulation properties as spray foam. A portion of the petroleum base that makes up the product is replaced by soy. There is still petroleum in the product, though. 2. 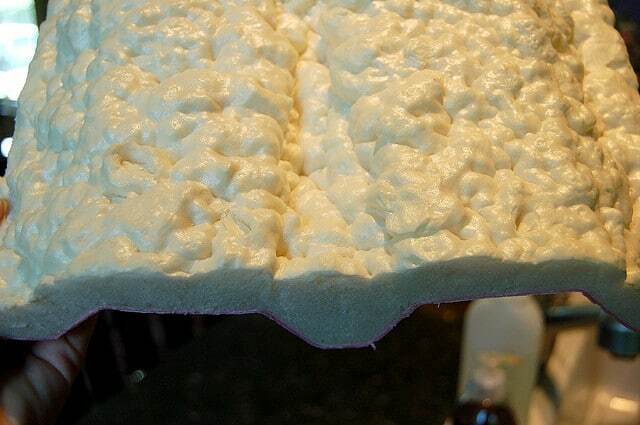 Castor oil spray foam – Castor oil is used in place of some of the petroleum, and the foam is applied with a water base, as opposed to the chemicals in other products. 3. Cotton denim and sheep’s wool batts – These two types of products cannot be sprayed in, but are tucked into the spaces between the studs. Neither is as efficient as foam, but they do not contain the added chemicals that are found in traditional fiberglass batts or in foam products. Although all spray foam insulation is green in the fact that it saves energy, and all such products contain some petroleum by-products, not all products are created equal. This is another of those times when it pays to do your homework.